Miss Willie must have moved to my hometown after I had left. She wasn't there when we were growing up, because she lived in the former pastorium. Pastorium? Yes, that's what we called the house where our Baptist minister lived. My late husband used to get a kick out of that word. By the time Miss Willie came, we had a new house for the minister - a brick ranch vs. the white clapboard cottage I had known as a child. We still called it the pastorium, which now makes me sort of chuckle, too. It doesn't quite have the ring of a parsonage or vicarage or rectory of other denominations. Before I get to the main subject of the above photograph, I have to tell what happened in that little white house. When I was growing up, all of the pastors at our church lived there. I think it only had a small living room, a dining room, a kitchen, two bedrooms and one bath. My friend Linda and I used to babysit for one of the ministers. He had four little boys (I think they eventually had seven boys), and the house was chaotic and smelled like dirty diapers. The mother of these children played the organ at church. She was very sweet, but always looked frazzled (understandably so) and wore no makeup. Her dresses were too big for her slight frame and were made of very old fashioned prints. Her husband was tall and good looking in a way, but he was very strict. He didn't believe in dancing and would say so from the pulpit. So, one day Linda and I - we must have been in about the fourth or fifth grade - tuned into the Mickey Mouse Club on their TV. We proceeded to do the dance mimicking the Mouseketeers - we knew every move exactly. Little did we realize that the preacher's boys were old enough to tell on us, but they did. Our mothers received calls, saying that we were not allowed back in their house because we had been dancing. So, it was strange when Miss Willie moved into that house and changed the yard into a wonderland of flowers. When I would go to visit my mother, I'd always slow down to see what Miss Willie had blooming. The spring after she moved there, I noticed a lovely patch of blue flowers. I'd seen these wispy, delicate blooms in a circle around a tree in a yard near my house. I'd always wondered what they were. 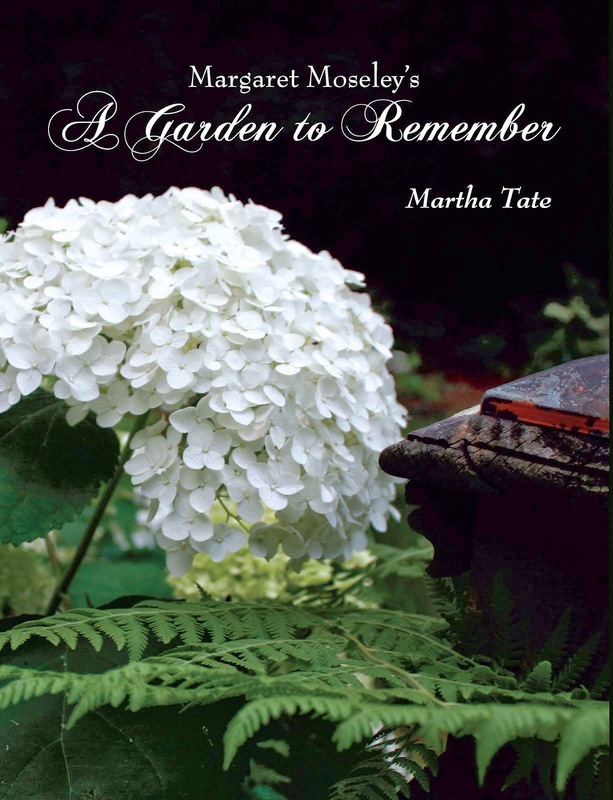 One day I stopped when Miss Willie was out in the yard, and she showed me that they were a type of phlox - about 12 inches high, with delicate stems and a sweet scent. Not too long after that, I went to Mother's, and there was a bag for me. In it was the blackest dirt I'd ever seen - absolutely the perfect soil. It had come out of Miss Willie's yard along with a little bunch of blue phlox. I took the sack home and divided the clumps, planting them in two borders, the black dirt spilling against my red clay. When I called Miss Willie to tell her how much I appreciated the flowers (I've always been superstitious about not saying "thank you"for a plant), she told me she was always adding amendments to her soil. That must have been the secret to her success. 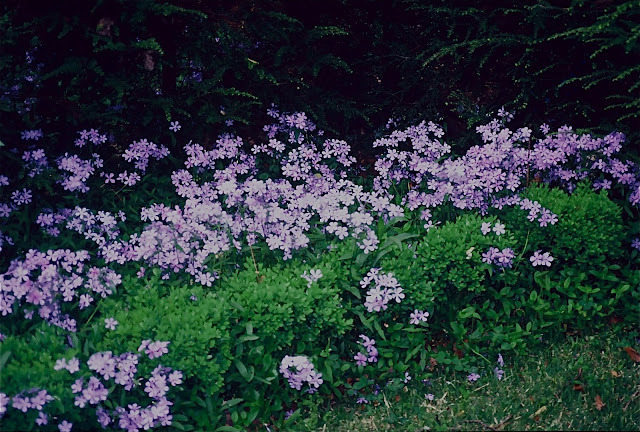 So, my phlox spread rapidly, and soon I had two nice colonies of what I learned was Phlox divaricata. Miss Willie died a long time ago, but her phlox has spread all over the woods and up and down a steep hill. Just yesterday, I looked out to see it naturalized everywhere. I thought of Miss Willie, her kind face and quiet, lovely manner. So different from the stern, scary man who used to occupy that house. I am so happy that this has remained and spread happily. What a fabulous gift. Mine totally disappeared so I thought it was a favorite snack food of my many rabbits or voles. Rabbits love it. I think the owls and hawks and foxes around my house make sure there are no rabbits. I used to have the one called 'Chattahoochee', and I loved it. That didn't last long, but I forget why. They spread rapidly for me and then disappear. I think they are as delicate as they look and are easily choked out by more rapacious plants. 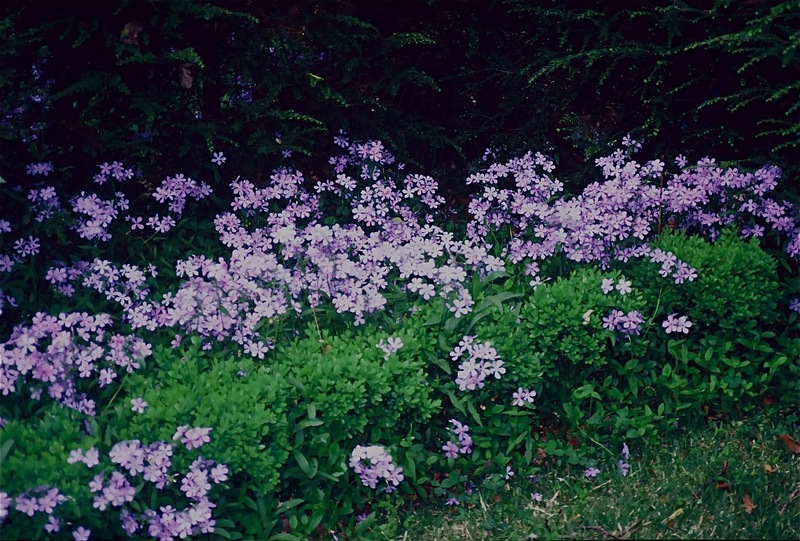 I need to re-group on the Phlox divaricata. I should do it now before they disappear for summer. They're scattered everywhere. I've been a Presbyterian and now go to a Methodist church that is sort of Episcopal-like. No more fire and brimstone. My parents were not hard-core Baptists and were often chaperones for dances. I'm just sorry I never was able to fulfill my wish to be a Mouseketeer, as I knew every nuance of the dance moves.